K suggested that i should try the ones loaded with mixed fruits + nuts, and i was hooked. i'm crazy for nuts~ we also bought some made with dragonfruits -- a little strange at first but dragonfruits are my favorite so i shouldn't have any problem finishing it up too! 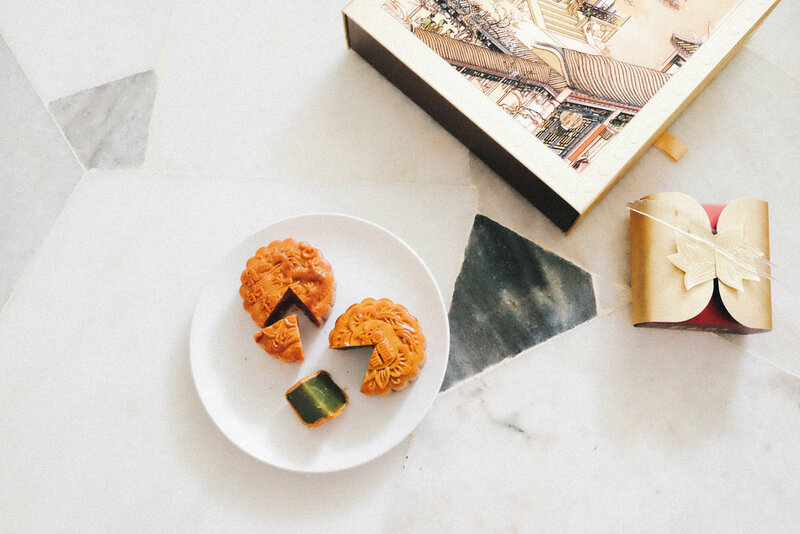 Oversea's Classic Jade Pandan Paste mooncake isn't too sweet, which i really liked. i wished we've bought more of pandan flavored ones. well, there's always next year. ^ Dragon-i nailed it this year with such elegant, velvety, luxurious gift box. the entire box (including the bottom of the inner box) is embellished with paintings designed with the 'Beijing Grand View Garden' theme. 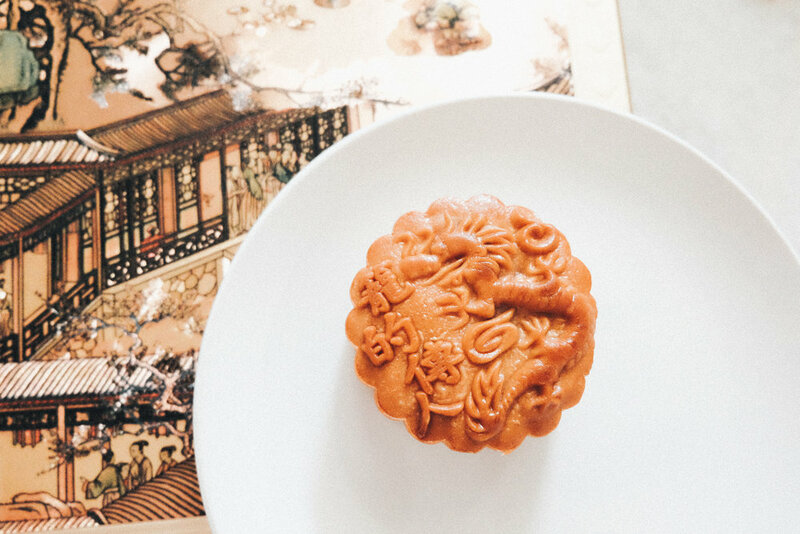 the mooncakes are packed in golden lotus 'wraps'. we filled it up with 4 mooncakes -- 2 of Dragon-i Signature mooncakes (dragonfruits! ), plus 2 Exotic Mixed Fruits & Nuts mooncakes. ^ a beautiful vintage-looking box from Shangri-La Hotel. these came in a few colors and tiers, i had to choose the red one, of course. 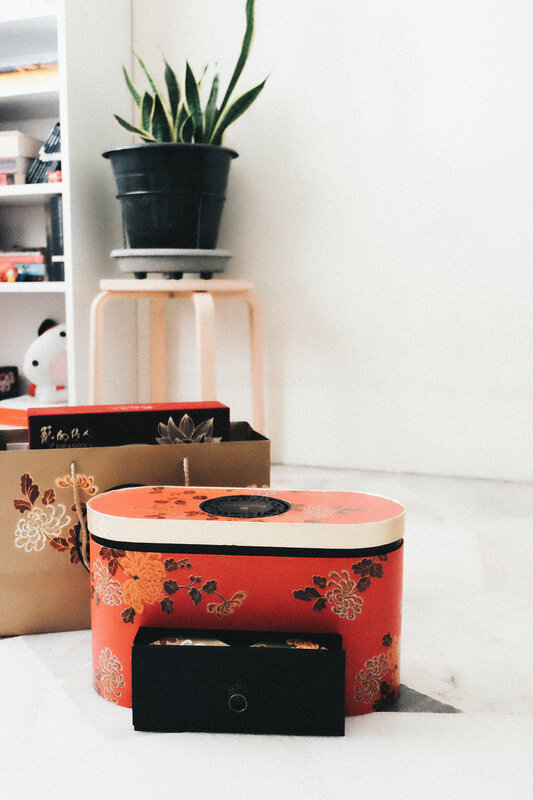 filled it up with 4 mooncakes -- 2 Assorted Nuts & Sun-Dried Fruits mooncakes plus 2 of the classic Lotus Seed Paste with Single Egg Yolk. it is known that mid-autumn festival is celebrated while enjoying the bright full moon (i did wake up in the wee hours a few times last week, took a look outside -- the moon was ethereal, did anyone noticed?) i was pleased to see exquisite mooncakes collection in the malls, we also drove past a lantern parade at night. the weather just took a high turn, the heat wave was unbearable earlier in the month. i'm guessing it was because of the full moon, but now it's raining almost everyday. such a nice start to the final quarter of the year.